In this article you will learn how to quickly and simply monetise your single media players with a single quick Pay-Per-View ticket. If you want to check out some Pay-Per-View Demos and extra information please visit our Pay-Per-View information page. To set a single Simple Pay-Per-View Ticket you will need to select the media you wish to monetize from the central Media Management Panel. With the chosen media selected, click on the Monetize tab in the Lower Settings Panel. Under Paywall click on the Drop Down menu and select Simple PPV Ticket. Price: You will be presented with a Price field where you can enter the amount you would like to charge your viewers to access the media. Currency: From the dropdown list you need to choose the currency you would like your buyers to be charged. Order Confirmation Emails: Here you can select if you would like to use one of your custom Order Confirmation Emails or if you would like to choose the Default Order Confirmation Email. Once you have finished selecting your desired Simple Pay-Per-View parameters simply click on the ✅ Save button to save your changes. If you no longer wish to Monetize your player you can select the media you wish to set back to Free to watch from the central Media Management Panel. Under Paywall click on the Drop Down menu and select Free To Watch. Now click on the ✅ Save button to save your changes. Your media player will now no longer require to be purchased and will be free to view. To accept payments from your buyers to your online bank you will need to setup at least 1 Payment Gateway Processor. Please follow our tutorials on setting up Payment Gateway Processors. Custom Pay-Per-View Packages: The method above use a simple single pay-per-view ticket for monetisation of a single media player. If you wish monetize playlists or have multiple pay-per-view tickets with different parameters such as rentals, subscriptions and expiry dates. 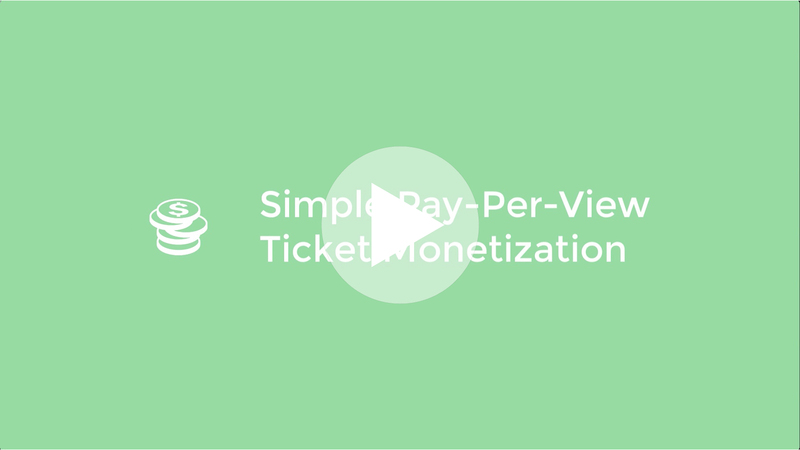 Please follow our tutorial on creating Creating Pay-Per-View Paywall Packages and Adding New Tickets to your Paywall Packages.